Gorillaz have shared a lot in the run-up to their fifth LP Humanz: augmented reality apps, a TV show, festival and tour dates and multiple song premieres. It’s honestly been a lot to keep up with, though each addition has been wonderfully dizzying to experience. And despite the fact that Humanz drops this Friday, April 28, Damon Albarn and company are still sharing content with fans. In this case it’s “The Apprentice,” a mid-tempo electro groove that’s an album bonus track and has nothing to do with President Donald Trump’s former NBC show (at least not that we know of). 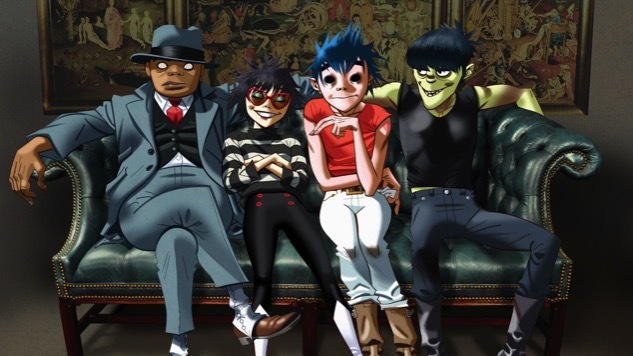 Even though it’s effectively an album b-side, “The Apprentice” is one of the better tunes to spin off of the guest-packed Humanz. Albarn’s voice floats around the track like a ghost in the machine whilst guests Rag‘n’Bone Man, Zebra Katz & RAY BLK all bring their A-games in the verses, hooks and guest raps. In a lot of ways, this should be the week that Gorillaz sit back and admire the finished product. However, it seems like they’ve taken the opposite course, and fans are all the better for it. Check out “The Apprentice” below, and see if Gorillaz and Danny Brown are coming to your city this year beneath that.